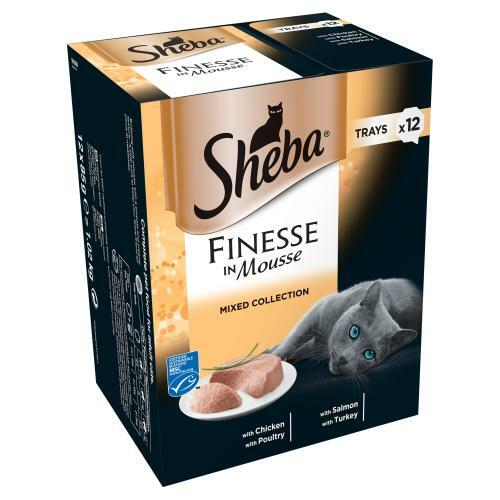 Sheba Finesse Mixed Collection Cat Trays are a scrumptious, soft mousse with a smooth and creamy texture that will keep your kitty purring all day long! Contains 4 lip-smackingly good flavours: Chicken, Poultry, Salmon, Turkey. These yummy cat trays provide your cat with high quality food and the complete nutrition your feline companion needs. Gently prepared and with no artificial colours or preservatives.